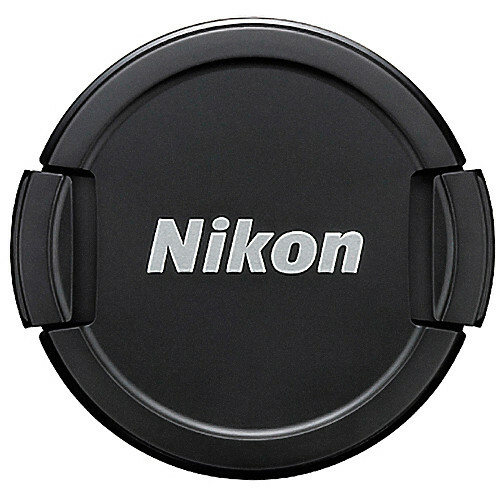 The Nikon LC-CP23 Replacement Lens Cap for Coolpix P500 Digital Camera fits snugly to the front of the lens, protecting it from dust and scratches. A spring-type mechanism makes it easy to snap the cap on and off the lens. Box Dimensions (LxWxH) 5.25 x 3.75 x 0.05"
LC-CP23 Replacement Lens Cap for Coolpix P500 Digital Camera is rated 3.0 out of 5 by 2. Rated 5 out of 5 by Anonymous from Its good as original I am happy finding the right cap. Rated 1 out of 5 by Anonymous from Excellent Service for replacing lost cap I lost my lens cap when out of town and Nikon referred me to B&H. B&H shipped the same day I placed the order. I recommend that anyone contact B&H when they need to replace their camera accessories.